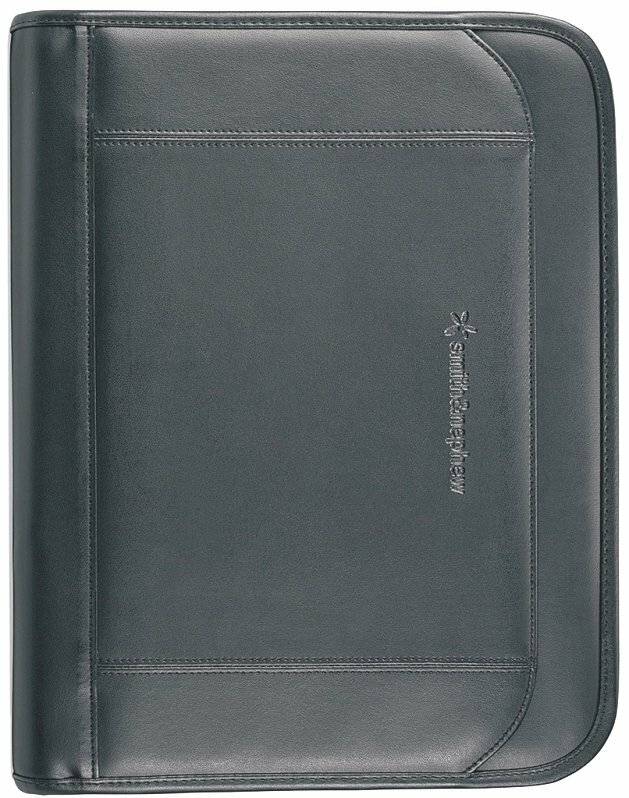 Sales force or CEO, all will be happy with this fine Global Ringfolio Organizer for corporate gifts. smart phone pocket, solar calculator, outside pocket & 8 1/2 x 11 writing pad. Overall size of the Global Ringfolio Organizer is 11" w x 14" h x 2 1/2" deep. Delivery from date of an order for this padfolio is 2-3 weeks. Price includes a one color art deboss spine bottom front center 5" w x 4" h.
Factory debossing die charge is $75.00. One location deboss only. Logo requires Illustrator or In Design ai, eps or pdf file.